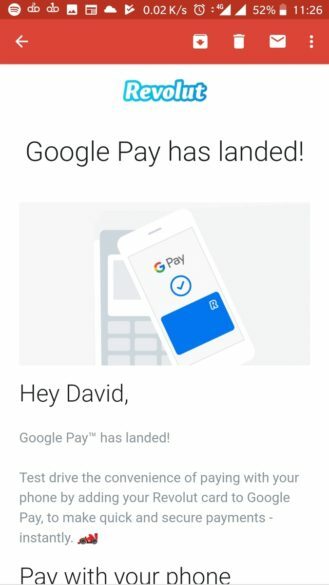 As US financial institutions continue to cozy up to Google Pay by the dozens, banks in other regions have been rolling out support more slowly. It's significant, then, when a sizable institution abroad announces support for the platform. Revolut is a pretty big deal, having passed 2 million users last month, and the UK-based digital banking service has recently made such an announcement. Revolut isn't listed on the Google Pay support page yet, but it's begun notifying its users of the change by email. Get out there and start buying stuff with your phones, Revolut customers.